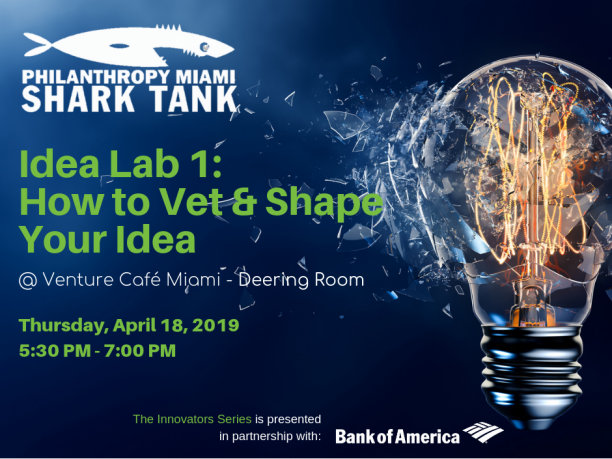 PhilanthropyMiami’s Shark Tank is competitive pitch event that showcases new and effective social innovations and solutions emerging from our local social sector. Our Shark Tank Idea Lab workshops are meant to help prospective applicants or any social impact leaders to develop the skills to hone and create their ideas, and have the skills to pitch them successfully. We strongly recommend that all applicants attend both workshops. Please email lcuenca@chasemiami.com to RSVP and for the 2019 Application.